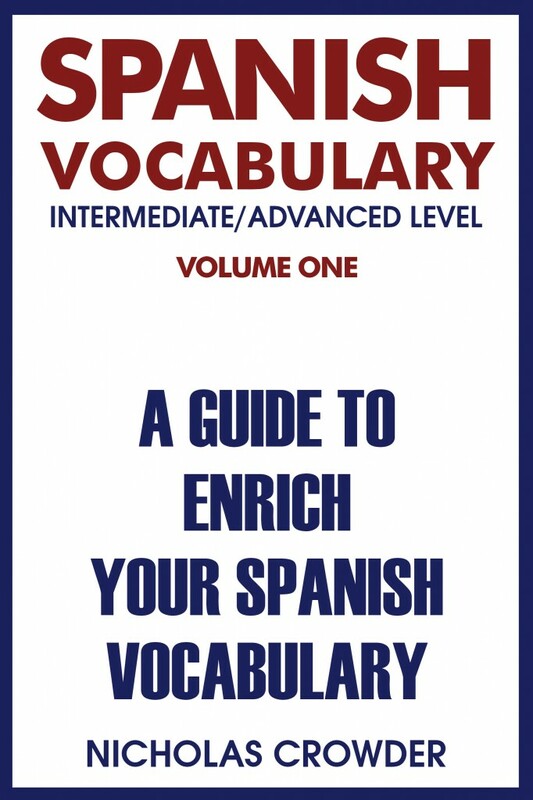 Improve your Spanish language, grammar, and writing skills with this unique Spanish vocabulary book. Developed entirely with the intermediate to advanced student in mind, readers will be challenged and rewarded by possessing a much wider and deeper understanding of Spanish vocabulary. There are many sources that provide students with basic Spanish vocabulary or lists of high frequency lexicon. However, the intermediate to advanced Spanish student has few resources available that focus on acquiring a higher level of vocabulary proficiency. With over 1,200 entries in this book a wide variety of topics are covered. Great care was given in locating and testing vocabulary that a highly educated native Spanish language speaker would find useful in everyday communications. Entries are organized alphabetically with the Spanish word and definition(s) in English. A sample sentence in Spanish is provided for each word to demonstrate context and usage. The examples in the book were obtained from a wide variety of sources including newspapers, books, blogs, government documents, etc. The publisher believes any motivated student will find this book valuable and worthwhile in attaining a superior Spanish vocabulary. BECARI LANGUAGE SCHOOL Two Locations M. Bravos Street #210 Oaxaca, Oax., México Inside the colonial Plaza San Cristóbal building ———————————– Oaxaca at Quintana Roo St. 209 Oaxaca, Oax., Mexico Phone/Fax: 951-514 6076 or 951-5164634 Please visit our web site by clicking on here. INSTITUTO BRADFORD – SPANISH AND TEACHER’S TRAINING COURSE Av. Hidalgo #1388, col. Americana, Guadalajara, Jalisco, Mexico Phone: 33-38272075 Fax: 33-38272975 (33)10485148 – Cell Phone Request more information by clicking on here. Please visit our web site by clicking on here.